Don’t forget to stop by our Gift Shop so you can Do Science at home! 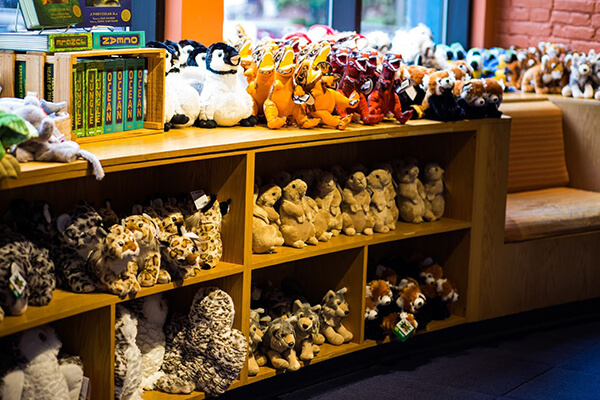 The Gift Shop carries gifts and gadgets for all ages and interests. Experiments, books, logo-wear, plushies, and souvenirs: there’s something for everyone! Plus, with every purchase you support our mission of furthering science literacy. Kentucky Science Center Members receive a 10% discount off purchases. Know someone who loves Kentucky Science Center? Gift Cards are redeemable in the Gift Shop and at the Ticket Desk.